Trois à domicile chambre face à l'Ouest pour les couchers de soleil magnifiques et le soleil l'après-midi pour le plaisir soit sur la maison pont de 65 pieds ou 20 pieds le pont sur le bord de l'eau. Grand quai et le flotteur à profiter de la baignade, pêche et le canotage, le 11 mile Long Pond. Canoë et 2 kayaks fournis; location de bateaux .5 miles de distance et lancement de handicap État encore plus proche. Véranda avec auvent Sunsetter. Jardin de plantes vivaces et de seaux de fleurs. Maison pont a couvercle en acier au-dessous afin que vous puissiez profiter du spa par tous les temps. Lac température entre 75-85 degrés, même avec la partie la plus profonde de 100 pieds. Sortez-sol salle de loisirs. Profitez de la commodité d'un journal de gaz dans la nuit. Laveuse et sécheuse. Pas de draps ou des serviettes ou des feux à l'extérieur! Les animaux domestiques ont besoin de l'approbation du propriétaire. Overall enjoyed the stay. Great views off deck. Creating a screened section of the deck would be nice. And a few more Adirondack chairs on the deck and at the dock would be great for more folks to sit comfortably at both location. There is porch with 3 sliders and screens plus 2 sky lights with screens so why do we need another screened section.. There are 4 camping chairs plus 2 Adirondeck chairs. Glassware continues to be broken, hard to keep up with. The pictures did not do it justice it was better than expected. 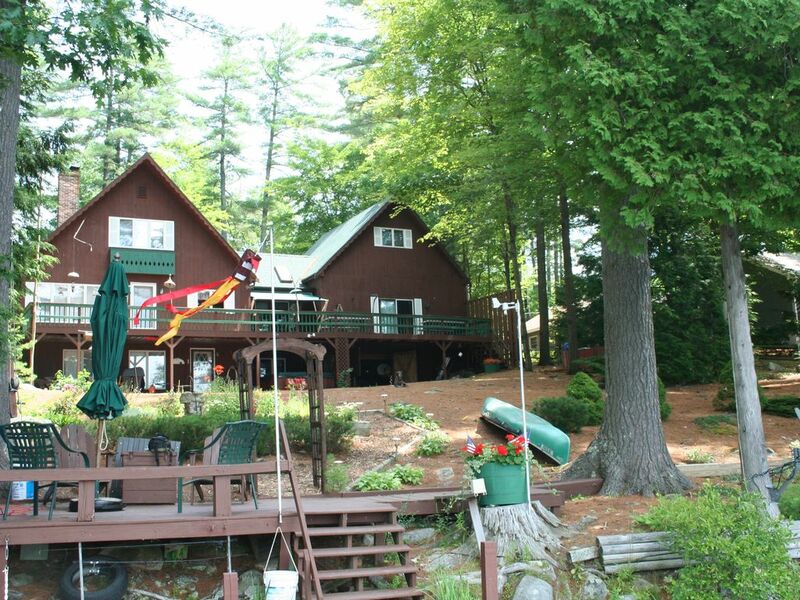 This home is set on a beautiful section of Long Pond. We enjoyed the views and swimming in the lake. The home was comfortable and had good amenities. The kitchen was not as well equipped as I would have liked. She never found the pot and pans under the stove. We enjoyed our stay. We had beautiful weather and were able to experience all the lake has to offer! The location of this property is perfect, not too far from shopping, restaurants and boat rentals. The house was comfortable and a good size for our needs. The lakeside porch is wonderful for small children or sitting enjoying reading or eating meals!! A nice grill was available for outdoor cooking. The lake front deck is perfect for watching the evening sunsets and we spent much time there playing in the water!! There is a floating dock to use with small boats, kayaks, and sups but it is rather wobbly much of the time. Need your sea-legs to feel comfortable using it! We all had fun during our stay! Roger's little slice of heaven is a serene place to spend a few days or weeks in one of the most beautiful locations we've had the pleasure of visiting. The property is located very nicely on a quiet, dead end private street, facing West for incredible sunsets. We brought much of our family, including a 1 year old, and everyone had a fantastic time. The property and house were very clean and well maintained, with everything we wanted or needed. Roger was absolutely great to work with, and very helpful. Our only regret - we should have booked for much longer!